Influencer50 is a global B2B- and B2C-focused influencer identification and engagement management firm. Founded by Nick Hayes in 2004, the company operates in the US, UK and Australia, with its head offices in London and San Francisco. In the past eight years we’ve won IBM, Google, Microsoft, Walmart, Oracle, Salesforce and VirginiaTech University as clients, written the book that’s brought a new understanding of how customers make their buying decisions, helped make Influencer Marketing the hottest marketing initiative in a decade, and encouraged Media & Analyst Relations folks to rethink their outreach targets. The one thing we’re not is conventional. We’re the top-rated Influencer Identification & Engagement firm, based out of San Francisco and London. We identify and engage with our client’s most important market influencers – the individuals who are really influencing their sales prospects. Offline, online and social influencers. Whoever their prospects & customers take most notice of. It’s likely you don’t currently do that. Do we deliver what we promise? 82% of our revenue is from repeat clients, so we think that tells its own story. 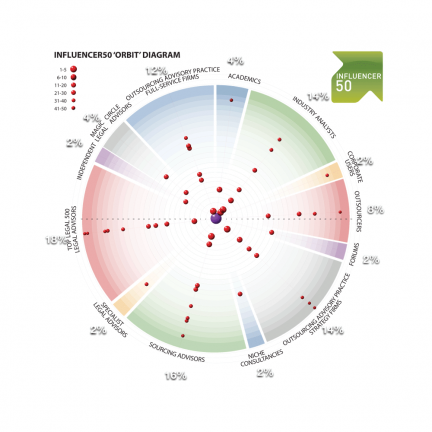 Influencer50’s principal service is its Top50 Influencer Identification program, which as its name implies, identifies the 50 most important influencers within a particular market or service category. Each individual is ranked according to eight discrete criteria and is the result of offline, online and social research, market analysis, and ‘industry player’ assessment. Influencers are classified according to one of approx. 25 different categories, ie. Journalist, Industry Consultant, Regulator, etc. Typically 10-15 categories are represented in the eventual Top50, emphasizing the fragmentation that’s occurred with who most influences business buying decisions over the past decade. 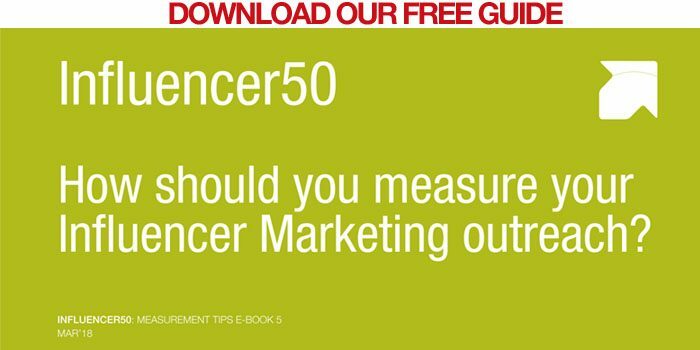 In addition to its Identification Programs, Influencer50 provides Influencer Engagement Programs, automated Influencer Tracker Dashboards, and ongoing Influencer Relations Outreach. 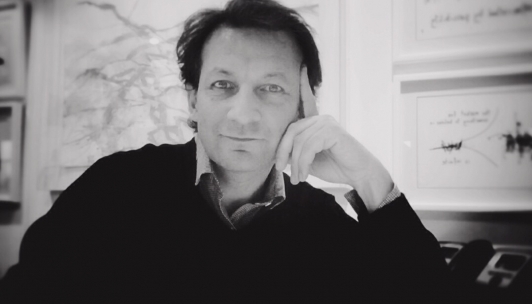 Nick is a marketing pioneer having previously founded and run successful marketing services firms for fifteen years, including an award-winning international technology PR agency & network for tech clients including IBM, HP, Adobe, Sun and BT. 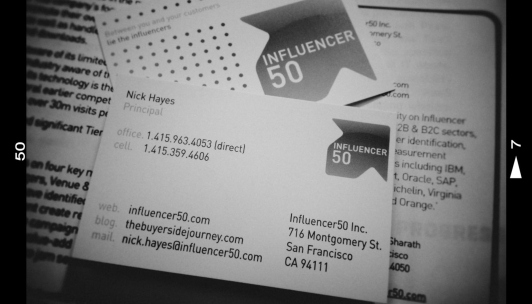 He founded Influencer50 in 2004 and since 2005 has run its US operation from San Francisco. He began his career at the European headquarters of EDS (now part of HP). Nick lives in the Bay Area. The book is a guide to the emerging importance of business influencers and how companies can best leverage that influence to their sales advantage. 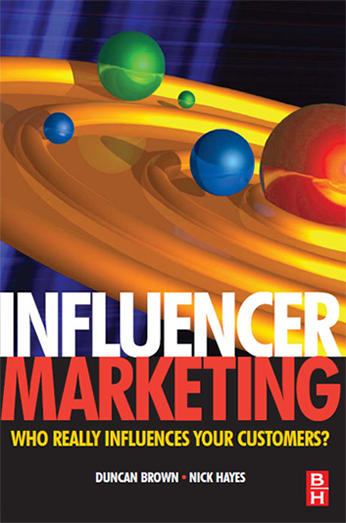 It contains twelve real-world case studies on how companies including IBM, Adobe, Yahoo, Wipro and others have implemented their own Influencer Marketing programs. We’re just now starting work on our second book, titled ‘How Buyers Buy’. Contact Nick Hayes directly using the details on the card here.